WASHINGTON — Pentagon contractor General Atomics acquired two small satellite manufacturers over the past three years, seeking a piece of the action in the burgeoning smallsat market. Executives are touting recent Air Force and NASA contract wins as proof that the acquisitions are paying off. General Atomics, based in San Diego, California, acquired Miltec, headquartered in Huntsville, Alabama, in 2016. In 2017, it bought the U.S. subsidiary of U.K.-based Surrey Satellite Technology Limited, in Englewood, Colorado. Using the expertise from those two companies, it introduced a satellite bus called Orbital Test Bed that has a flexible design so it can compete to host different types of payloads. “Everyone is trying to get their arms around the concept of hosted payloads and understand how to best utilize it,” Nick Bucci, vice president of missile defense and space systems at General Atomics Electromagnetic Systems, told SpaceNews. In a highly competitive market, the strategy for General Atomics was to make a modular satellite design that can be scaled from a tiny cubesat to a 1,000 kilogram platform, Bucci said. The company has recently won three government contracts to launch payloads on its Orbital Test Bed (OTB). The Air Force Space and Missile Systems Center announced earlier this month it selected a 110 kilogram OTB to carry a sensor from the French space agency CNES on behalf of the U.S. National Oceanic and Atmospheric Administration. The Air Force awarded the contract under the Hosted Payload Solutions program, created to facilitate the placement of government payloads aboard commercial satellites. The mission is scheduled to launch in 2021. CNES partnered with NOAA Cooperative Data and Rescue Services Program to collect data from thousands of sensors and transmitters located around the world. The data is used for ocean buoy tracking, wildlife and fishery monitoring and maritime security. The Air Force hosted payload award follows NASA Jet Propulsion Laboratory’s selection of the OTB to carry the Multi-Angle Imager for Aerosols instrument payload. 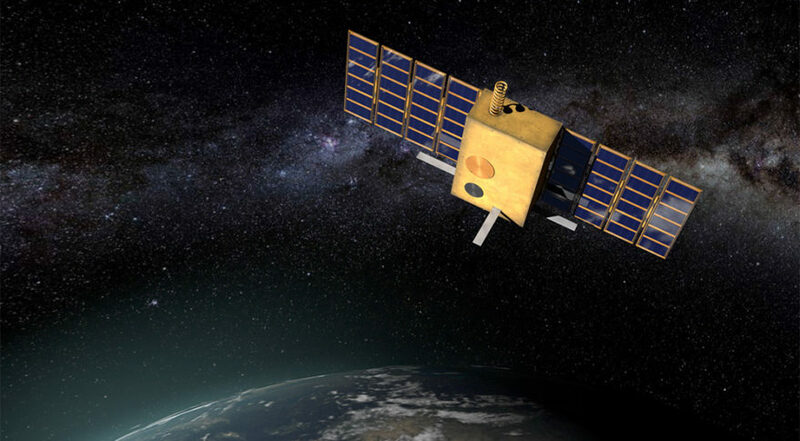 The MAIA instrument, scheduled to be launched in 2021, will make radiometric and polarimetric measurements needed to characterize the sizes, compositions and quantities of particulate matter in air pollution. Under a separate program, NASA chose the OTB to host the Deep Space Atomic Clock and an Air Force Research Laboratory modular solar array payload. This mission is scheduled to be launched in 2019.